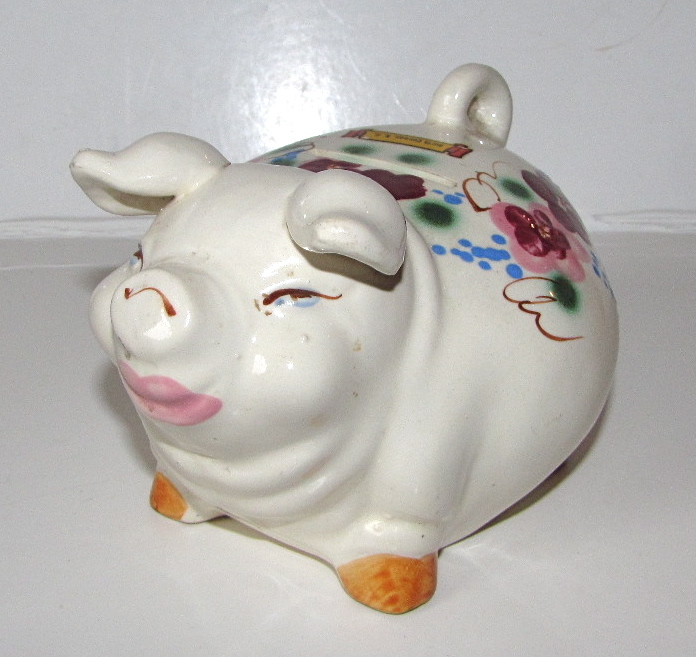 The makers of this portly ceramic piggy must have gotten the message. There must be more to it? 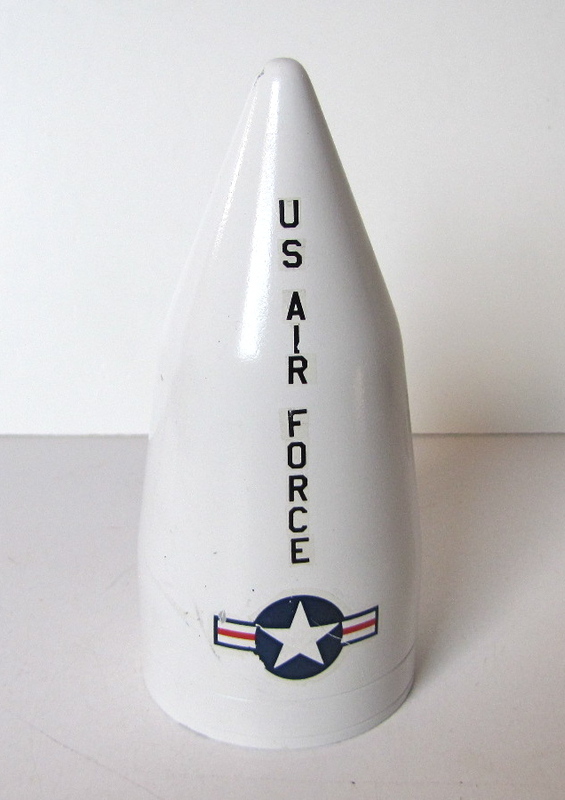 Not sure what the function of this nose cone would be without the rest of its equipment. Guess it could be a paperweight. It is definitely heavy enough. One side has a hole drilled in it, by design. The gentleman from whom I acquired it did not know why the hole is there. I don’t either, but I bet someone does.